You have probably heard “toxins are "bad,” "toxins will cause cancer" or "toxins could be the reason for your hair loss.” But did you know toxins can cause weight gain? Yes, toxins (harmful chemicals and heavy metals in water, air, food, and household and industrial products) may very well be a cause for America’s obesity epidemic, not excess calories. According to research published in the journal Obesity, nearly 20 chemicals are now shown to cause long-term weight gain. During crucial periods of development, these chemicals disrupt hormone-signaling pathways, some of which would normally make sure you process food efficiently, instead of storing it all as fat. Researchers exposed previously skinny rats and mice to cigarette, pesticide and plastic chemicals. The result? Some seriously fat rodents. To make things worse, diabetes may rear its head with exposure to toxins. Another study in the Journal of Clinical Endocrinology and Metabolism found that certain toxins were more prevalent in the blood of “sick” overweight people -- with diabetes -- than in the blood of “healthy” overweight people. The toxins included dioxins and PCBs. Although other factors could account for this, it is already known that toxins cause endocrine disruption. Diabetes represents one way your endocrine system can go awry. 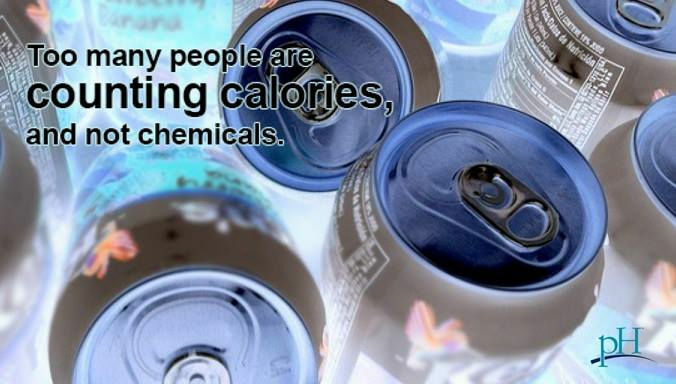 Furthermore, these toxins, also called "obesogens", get stored in fat and leach into the bloodstream during weight loss. They wreak havoc on the metabolism-regulating thyroid. If you've handled too much plastic and have high levels of BPA, you may end up with increased impulsive and addictive behavior. For many people, this results in overeating. How can you avoid these obesogens? Try to keep your life as non-toxic as possible. That means dioxin-free tampons, natural household cleaners, organic food and keeping the windows up when you drive on the freeway. It means careful choices in paints, lotion, water bottles and baby toys. Protect yourself from toxins, and especially so if you are pregnant. It's hard enough staying at a healthy weight without chemicals monkeying with your hormones. Be proactive and avoid toxins when possible. You should also consider testing for toxins if you have difficulty losing weight.